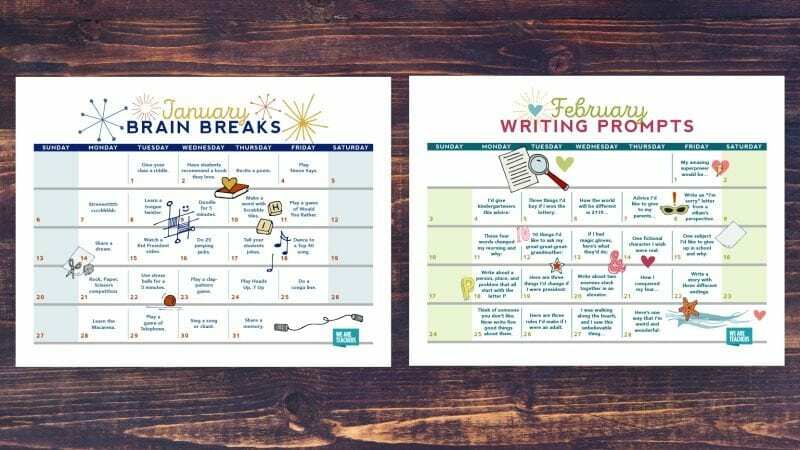 Save, print, and get organized for the new year! Hooray! 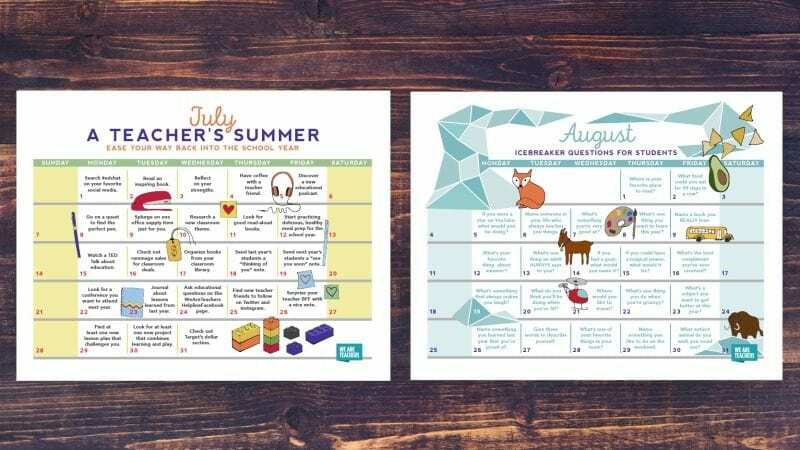 Our FREE 2019 teacher calendar is ready to save and print. 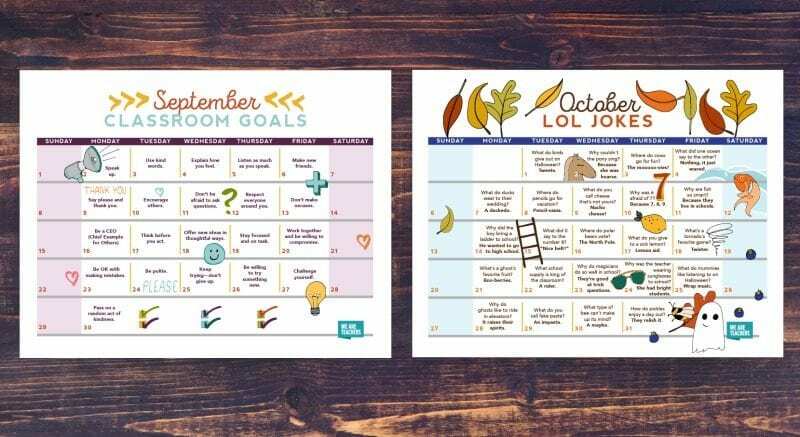 We look forward to putting together this calendar every year and packing it with our favorite classroom jokes, writing prompts, random acts of kindness, and more. 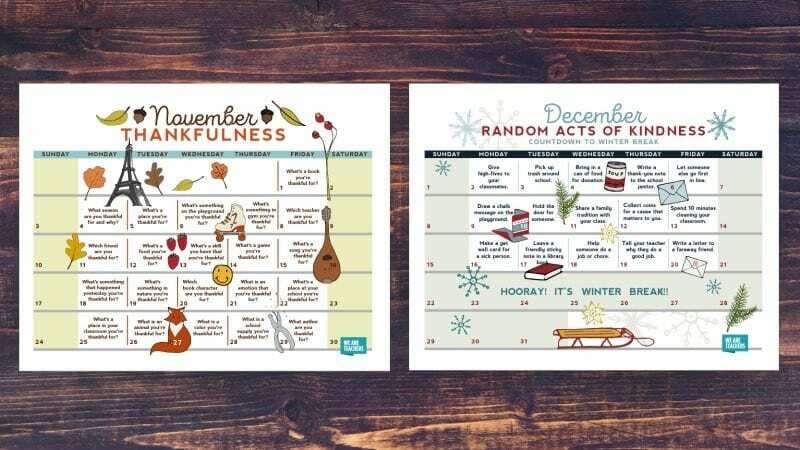 This calendar makes a great gift—just submit your email here to save and print! Because we could always use more of those! 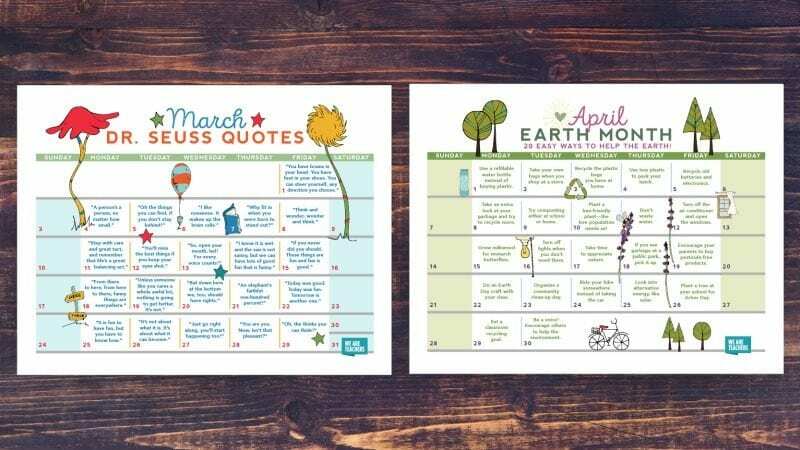 Easy ideas to help our planet. 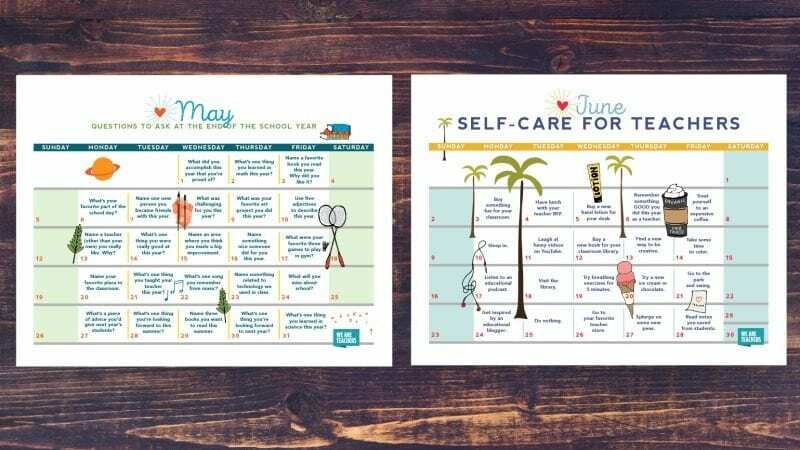 Because June is all about recovery. So great for a new school year! We’re still laughing at some of the punchlines on these. A perfect way to wrap up the year! Yes! 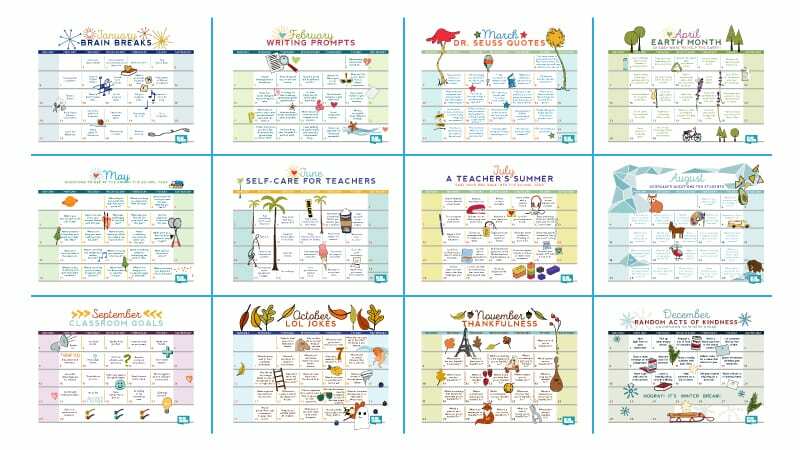 I Want My 2019 Teacher Calendar!